The third in a series of DVD programmes which is dedicated to the English Electric Type 4 Class 37s diesel locomotives that was the main form of motive power in East Anglia and Scotland. The DVD won accolades from the railway press before going on general release. 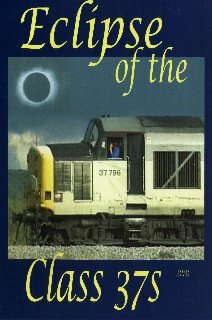 To add to the magnificent sound effects which are a feature of the series 'Eclipse of the Class 37s’ programme, it includes the sight and sound of no less than 100 different locomotives in action in two different countries. This was also the first video to include action from Southern France where the class 37s are assisting with construction duties connected with the new high-speed TGV Link. As a passionate enthusiast, you will have the opportunity to see breathtaking scenery in addition to witnessing the locomotives hard at work with passenger and freight on the Penzance to Inverness line and also from Lowestoft to Aberystwyth and stunning locations in between. We compare both modern and historical liveries as we see many members of the class 37s prior to them being withdrawal from rail service. Full train details appear as captions and narrative has been deliberately omitted so you can fully enjoy and appreciate the truly distinctive sound of these wonderful locomotives without compromise. Produced by GLOBE VIDEO FILMS and released November 1999.